by Stephen Thomas ErlewineBest-known for his 1949 hit I Never See Maggie Alone, Kenny Roberts was one of the last country singers to specialize in the legendary vocal technique of the blue yodel. 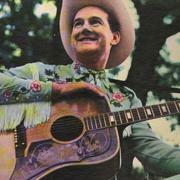 Inspired by Yodeling Slim Clark, Jimmie Rodgers, and several singing cowboys, Roberts first came to prominence in the late 40s, and over the next five years he built up a fan base through his recording, frequent tours, and his appearance at yodeling concerts. Though he never had many hits — he only charted four times, between 1949 and 1950 — he nevertheless remained a popular concert attraction well into the 80s.Roberts was born in Lenoir City, TN, yet he was raised on a farm outside of Greenfield, MA. As a child, he became fascinated by the music of Clark and began singing as a teacher, making his first radio appearance when he was 15. Soon, he became part of the Down Homers, a local group who had a regular gig at WKNE, a New Hampshire radio station. Eventually, the group made their way toward the Midwest, playing at radio stations in Iowa and later settling in Fort Wayne, IN, where they regularly played a show called the Hoosier Hop. In a short time, Roberts had developed a reputation as a first-rate singer and yodeler.The Down Homers — who also featured Bob Mason, Guy Campbell, Shorty Cook, and Lloyd Cornell — cut a record released as a Vogue Picture Disc. When World War II arrived halfway through the 40s, Roberts decided to enlist in the U.S. Navy in early 1945. Once the war was over, he returned to Fort Wayne, where he began a solo career. After a few months, he moved to St. Louis, where he appeared regularly on several different shows on KMOX, as well as the CBS Saturday morning show Barnyard Frolics. Roberts released one single on Vitacoustic before signing to Coral Records in 1948.Roberts career took off in 1949, as his single I Never See Maggie Alone reached number four on the country charts in the summer. The flip side, Wedding Bells, also was a hit, reaching number 15, while his second single, Jealous Heart, reached number 14. In the spring of 1950, Choclate Ice Cream Cone became his second Top Ten single; it would also prove to be his last charting single.Following his chart success, Roberts moved to Cincinnati, where he had a show on WLW Cincinnati and appeared regularly on the Midwestern Hayride. For the remainder of the decade, he concentrated his efforts on the Midwest, becoming a big regional star through his television shows in Dayton, OH (which became his home in 1952), Indianapolis, Indiana, and Saginaw, MI. Roberts continued to appear regularly on daytime Midwestern television — and, as of 1962, WWVAs Wheeling Jamboree — until the mid 60s. Around that time, he released an EP on the independent label Essgee, which led to a contract with Starday Records in 1965. Over the next five years, he released four albums for the label. Once his deal with Starday expired, he recorded briefly in the early 70s for Nashville Records.In the early 70s, Roberts moved back to Dayton and concentrated on working in the Midwest and Canada. During the mid-70s, he made a pair of albums for the Canadian label Point. By the end of the decade, he had moved back to his home state of Massachusetts, where he began playing concerts across the East. Roberts released one album for Palomino around 1980, which was followed by Longhorns Then and Now, which combined historical cuts with new recordings. A few years later, Roberts moved to a farm near his childhood home in Greenfield. Though he was essentially retired, he continued to give concerts around the Northeast throughout the decade.